Today's picture, made from a window in the Chrysler Building, captures Tudor City and the world around it on a specific day ‒ November 16, 1929. The boulevard on the left is 42nd Street. 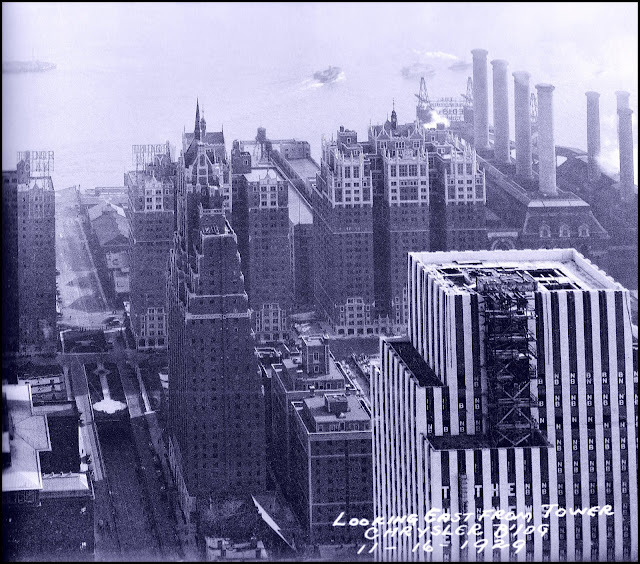 At lower right, the white building under construction is the future home of the Daily News. 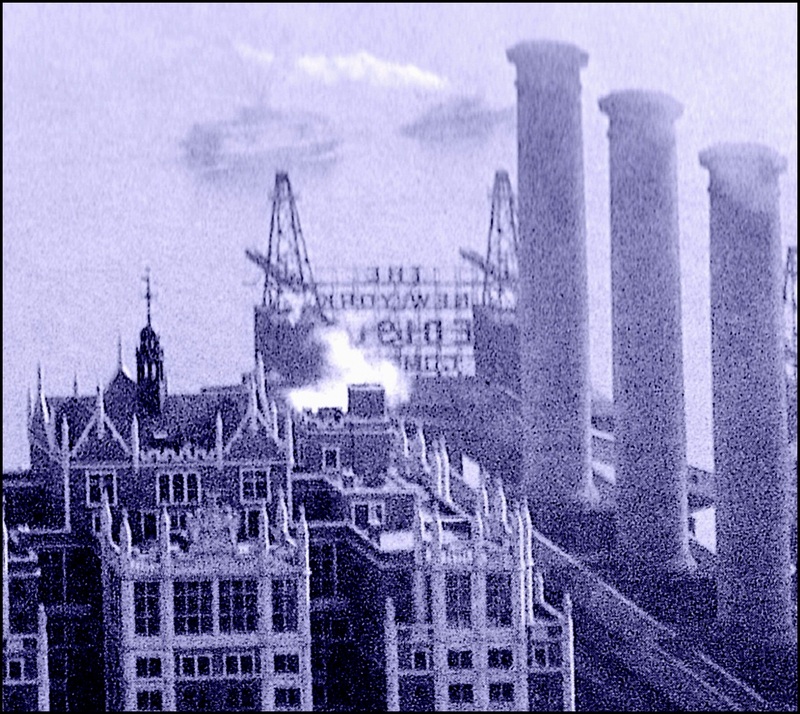 The smokestacks at top right, part of the Con Edison steam plant, are evidence of how industrial the riverfront still was at this time. Of particular interest to this blog are the three signs in the photo, blown up below. 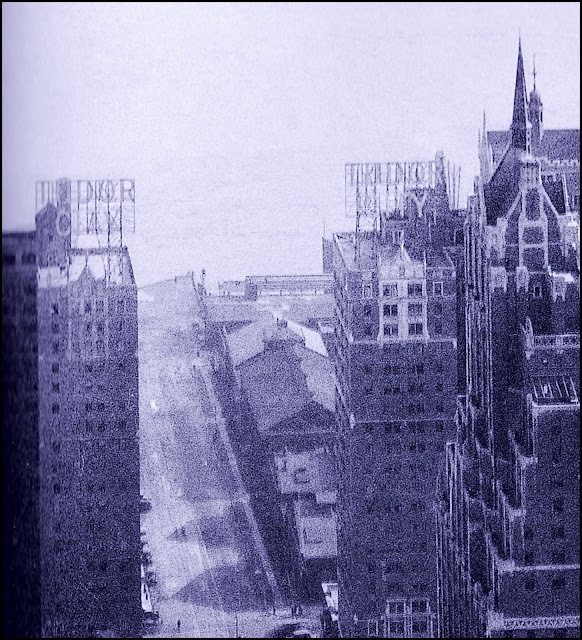 Showing the twin TUDOR CITY signs bracketing 42nd Street, atop Nos. 45 and 25. (The latter sign had a short life, removed in 1933, while No. 45's version remains in place to this day.) The warehouse buildings behind them were part of the East River's slaughterhouse district, then in full swing. Facing the East River, there's a bonus sign for THE NEW YORK EDISON COMPANY, the neighborhood steam plant. How long this sign remained in place is anyone's guess, but the smokestacks were demolished in 2007.